Tickets for the full weekend are $99, payable via the Paypal button below, or directly to payments@thelemacon.org. When sending payment, please be sure to give us your full name and preferred contact email, so we can send you updated information as the event draws near. Registration for ThelemaCon is separate from reservations of hotel space. After purchasing your ticket(s) to ThelemaCon, remember to reserve your room at the Doubletree. NOTE: All proceeds, after covering expenses, will be directed toward future events. No personal profit is being generated by ThelemaCon. Dr. David Shoemaker is a clinical psychologist in private practice, specializing in Jungian and cognitive-behavioral psychotherapy. David is the Chancellor and Prolocutor of the Temple of the Silver Star. He has been a member of O.T.O. and a student of A∴A∴ since 1993, and he has more than twenty years of experience supervising students in these traditions. He is the Master of 418 Lodge, O.T.O. in Sacramento, having succeeded Soror Meral (Phyllis Seckler), his friend and teacher. He also serves as a Sovereign Grand Inspector General of the Order. David was the founding President of the O.T.O. Psychology Guild and a founding member of the Advanced Initiation Training team, and is a frequent speaker at NOTOCON. A consecrated Bishop of Ecclesia Gnostica Catholica, David led the team that developed the O.T.O. Pastoral Counseling Workshops. David was a co-editor of the journals Neshamah (Psychology Guild) and Cheth (418 Lodge). In addition to his essays in these publications, his writings have been published in the journals Mezlim and Black Pearl, and his chapter on Kabbalistic Psychology was included in the Instructor’s Manual of Fadiman and Frager’s Personality and Personal Growth, an undergraduate psychology textbook. He was the compiler of the TOTSS publication, Jane Wolfe: The Cefalu Diaries 1920-1923, and a co-editor of the collections of the writings of Phyllis Seckler (Soror Meral), The Thoth Tarot, Astrology, & Other Selected Writings, The Kabbalah, Magick, and Thelema. Selected Writings Volume II, and Collected Poems 1946-1996. He was also the co-editor of the collection of correspondence published as Karl Germer: Selected Letters 1928-1962. 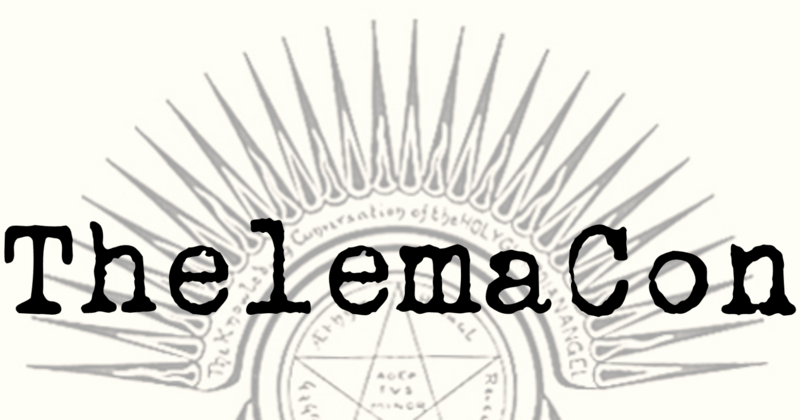 His popular book Living Thelema: A Practical Guide to Attainment in Aleister Crowley’s System of Magick, followed on the success of the podcast of the same name. His latest book, The Winds of Wisdom, which presents the results of David’s scrying the 30 Aethyrs of the Enochian system, was published in 2016. In addition to his work in magick and psychology, David is a composer and musician. He lives in Sacramento, California. Lon Milo DuQuette is the author of 17 books that have been translated into 12 languages. He is also an award-winning singer-songwriter and recording artist whose musical career has spanned over 50 years. Lon is also an internationally recognized authority on tarot, Qabalah, and ceremonial magick and has written extensively about the life and work of Aleister Crowley. He is currently the US Deputy Grand Master of Ordo Templi Orientis, and his most recent publication is Son of Chicken Qabalah: Rabbi Lamed Ben Clifford's (Mostly Painless) Practical Qabalah Course. Harper Feist has been interested in the intersection of magick and science for most of her life. She has a history in feri/faeri workings and facilitating large public rituals in the flavor of the Reclaiming witchcraft tradition. She is interested in the scrying role of ceremonial magick, having taking part in many workings involving both chthonic and celestial spirits. More recently, Harper has become engaged with Thelemic practice, including serving in the Gnostic Mass and other rituals, and is highly inspired to further develop her skills by way of her personal practice. Andrew Ferrell is Vice-Chancellor and Grand Praemonstrator of the Temple of the Silver Star. As Librarian and Archivist for that Order, he is dedicated to preserving and publishing the teachings and printed legacy of Karl Germer, Jane Wolfe, and Phyllis Seckler. He currently resides in Sacramento with his partner and their three dogs, “The Secret Chiefs." Author of the Seven Spheres, RO is currently working on grinding stone and making tincture. Some days are better than others, but in general he's focused on the bringing of healing, understanding, wisdom, long life, and above all else JOY. © Copyright 2019 ThelemaCon. All Rights Reserved.